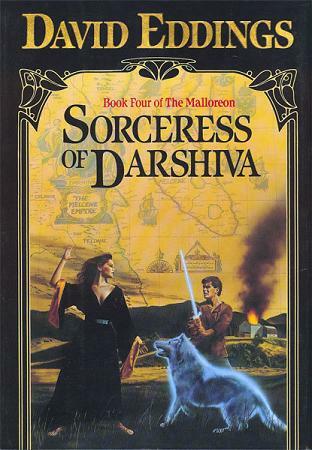 Book four in David Eddings second quintology is ‘The Sorceress of Darshiva. Once again, I shall preface this review with the fact that I love this series. It is always a ‘palate cleanser’ for me. This particular one is quite strong. It fills in more of what is going on with the characters back home, as well as continue with the saga with Garion, the main character. He and his companions continue their world wide tour through more of the Mallorean continent. The characters continue to grow, and we learn more about Belgarath and his ‘brother’ Beldin. Some of my favorite scenes take place in this particular book, and we also see the Malorrean Emperor come to terms with his own role in the overall scheme of things. 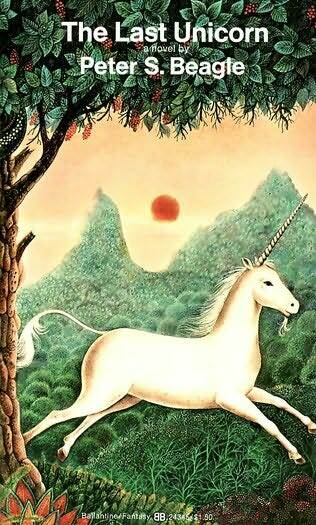 ‘Sorceress is one of my favorite books in one of my favorite series. I give it an A-. 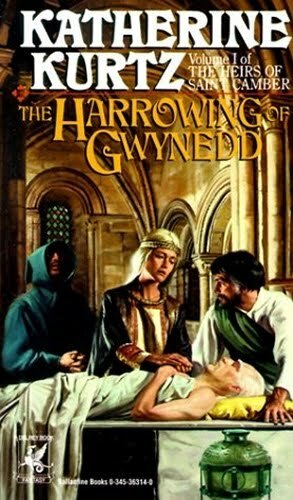 The Harrowing of Gwynedd is the second (chronologically) trilogy of the Deryni series by Katherine Kurtz. This book picks up exactly where the previous book had left off – right after the death of Camber, the most powerful Deryni sorcerer in saga. This book focuses primarily on his daughter Evaine and the second in line to the Gwynedd throne, Javan, who is secretly gaining Deryni powers. The true focus of the book is on racism and how people in power can turn the power of the state against minorities, even powerful magic using minorities like the Deryni. It is a powerful transitional book. I did find myself several times really hating the racists in the saga. It does not take a huge stretch to take the allegory to our own world. There is a lot of deeper magical ideas in this book, as well as the state of Camber’s soul, and the sacrifice that must be made to free him. I enjoyed the book, despite my growliness at the blatant racism. I give The Harrowing of Gwynedd a A-. Ever feel like you’ve come into the middle of a story, and you spend the first quarter of the book figuring out whom is whom? 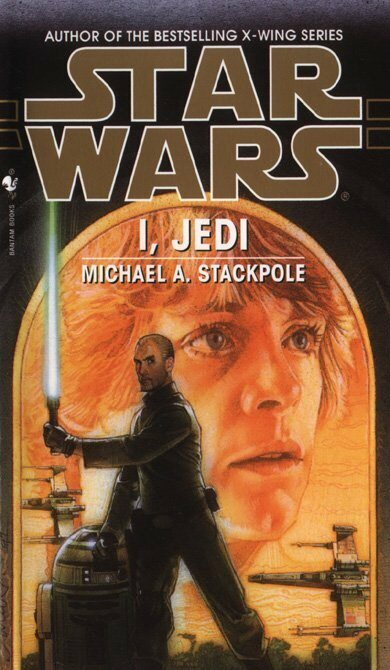 That’s what I felt like in the next Star Wars book ‘Children of the Jedi.’ I’ve been pretty careful to read the books in order, but this one really felt like I was missing the first book in this particular series. I’ve checked; I’m not. The Children of the Jedi, which, by the way, don’t really refer to the Solo children – ages 3 and 1 – but to theoretic survivors of the Emperor’s and Vader’s purge of Jedi at the beginning of the Empire. There are several characters introduced – a robotics and artificial intelligence genius lady and her newly droidized love interest whose back stories should have been books on their own but were given in exposition heavy handedly. We also meet Callista, a dead Jedi who was buried in a computer for the past several decades. 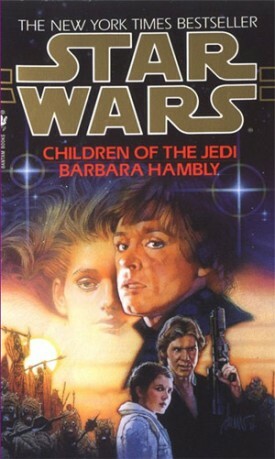 I felt let down by the Children of the Jedi, even more than the Jedi Academy books. They felt complete compared to this one. 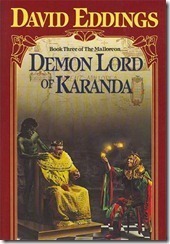 This one gets the lowest grade I’ve given yet: a D.
Book 3 in Piers Anthony’s Incarnations series is a pretty good read. 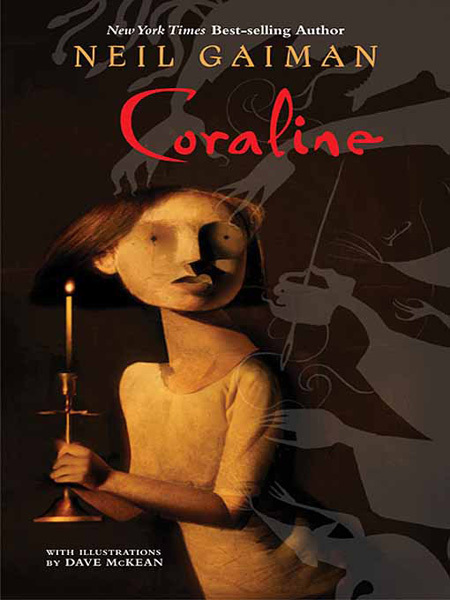 We get to see the three sides of fate – the maiden, the mother, and the crone. Whereas the books on Death and Time cover a short period of time, a couple of months or years, Fate’s book covers decades. Niobe, an `18 year old Irish woman, is married off to a 16 year old boy. They aren’t compatible to begin with, and it is a matter of Cedric and Niobe growing up to allow them to fall in love. They have a child, and then due to interference from Satan – the Incarnation of Evil – Cedric is killed. Long story short, Niobe meets all the Incarnations, and then she becomes the youngest part of Fate. They stall Satan’s plans, but the story doesn’t end there. Niobe takes up her mortal life again, marries, has another child, Orb, and then is called again to become Lachesis, the middle aged part of Fate, the mother. The connections to all the other characters in the book become a little overwhelming as we meet Zane/Death again, and we find out about Luna and the Magician, and so much more. 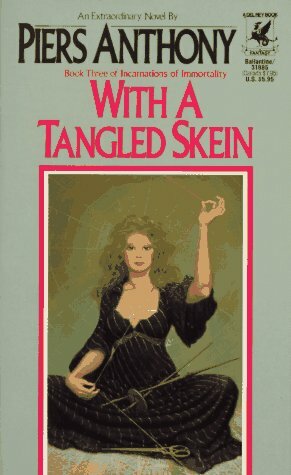 With a Tangled Skein is a good transitional book. 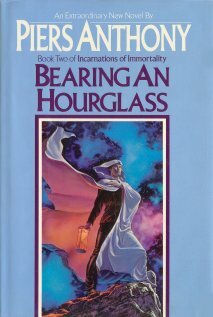 We have been introduced to the world concept in On a Pale Horse (Death’s Book), and we see where it may end in Bearing an Hourglass (Time’s Book). This book assumes you’ve read the other two books and have various ‘ah ha!’ moments. 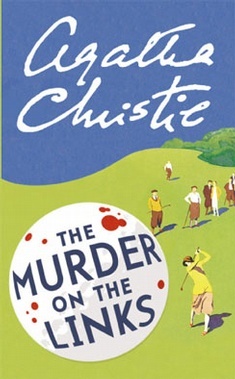 The book is well written and enjoyable, but only if you’ve read the other two books. I give With a Tangled Skein a B+. While on a 17 hour bus ride to Washington DC, I devoured a whole series of Batman graphic novels that my buddy Paulie brought with him on the bus. 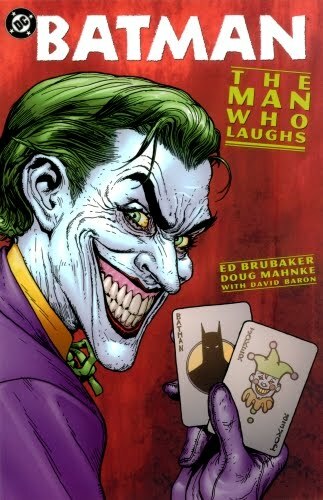 The first one that I read was The Man Who Laughs by Ed Brubaker, Doug Mankhe, and Patrick Zircher. A majority of the book is a telling of the first Batman/Joker encounter. It is pretty intense with several layers to it. The primary layer is that of the Joker killing people. There is a pretty intense scene where the police find a place where Joker has been practicing his sadistic killings. The second layer is the realization that Batman actually created the Joker by knocking him into a vat of chemicals, driving the man insane. The story is well written and well drawn. Brubaker definitely has a good grasp on the Batman and Joker relationship. 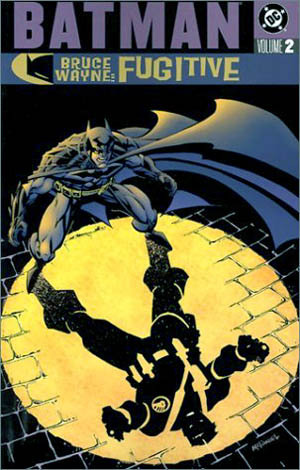 The second part of the book features the golden age Green Lantern and Batman. In the current continuity, the golden age Green Lantern was based in Gotham City during the 40’s and 50’s. He talks about the difference between Metropolis and Gotham, with the difference really being hope and exhausted despair. The storyline follows a murder mystery started in the 40s, and when Green Lantern comes back to Gotham, he is not welcomed with open arms. Batman is not the most friendly host. The Green Lantern does stay and help solve the mystery. Overall, it is a good read. I would give The Man Who Laughs an A. Contagion was Batman comics event where a deadly disease is turned loose in Gotham City. Gotham gets hammered with the illness. Batman, of course, being the scientist, tries to find the cure. They discover that the illness was released once before, and that there were few survivors. Robin and Catwoman are sent to get the first survivor, but there are other powers at work that want the plague to spread. Throughout the books, it flashes between the diseased streets of Gotham and the rest of the world as Catwoman and the former Batman replacement Azreal raced around the world to find the cure. Robin catches the disease and is in terrible pain and becomes badly deformed in the progression of the disease. I personally found that the ending seemed a little bit too contrived. The disease was brought out of the group that helped create Azreal. At the end of it, there was no lasting effect on the city. Even Robin fully recovered and became un-deformed. I wasn’t as impressed with this graphic novel as I was with the first one. 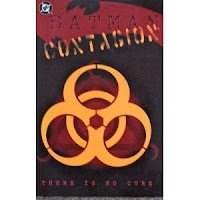 I give Batman: Contagion a C+. Gotham City definitely gets the short end of the stick. I missed the earthquake that shook Batman’s city, but I did get to read about what happened after. No Man’s Land. Essentially, the US Government decides that Gotham is too much of a problem and proceeds to cut Gotham loose, sealing it off from the rest of the country. No humanitarian aid, nothing. Arkham Asylum is opened, the prison is opened. Ammunition is scarce, and Batman is missing. For one of the first times, Commissioner James Gordon is furious with Batman because he has deserted them. The villains – Scarface, Penguin, Two-Face, Killer Croc and more – control different areas of the city. They are reduced to ‘tagging’ areas with spray paint graffiti. This was a year-long event that stretched across all of Bat-books, and dealt with almost all of Batman’s supporting cast, both hero and villain, cop and civilian. It was a brilliant tale of cross and double cross, followed by a triple cross. It ends just as brilliantly with a death of a significant supporting character. The only thing that was missing was Nightwing’s part in the saga. They kept on saying Nightwing is taking care of the inmates at Newgate Prison, but we never saw that. It’s the one weakness in the entire saga. I really enjoyed the series overall. It was well written, gripping, and it had a full effect on everyone there. It also introduced the new Batgirl, with the previous Batgirl (Barbara Gordon) giving full endorsement. I give Batman: No Man’s Land an A-. Batman never quite gets a break, does he? Of course, if he did, it would be a very boring comic book. In one of the finest mysteries that comics has done in years, we have Bruce Wayne suspected of being a murderer, and there is no one to disprove it. Not even Bruce Wayne himself. 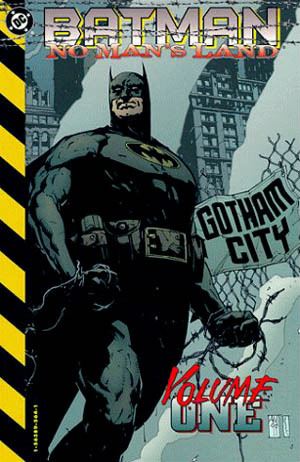 Much of the first part of the story is told from Bruce’s bodyguard Sasha’s point of view, as well as from the other Batman supporting characters – Oracle, Robin, Batgirl, Nightwing, and Alfred. The character analysis of Batman is also very well done. Bruce Wayne, when he talks to himself, calls himself Batman. In his mind, Batman is the real person and Bruce Wayne is the mask (as opposed to Superman, who really thinks of himself as Clark Kent). I don’t want to give much more away, except that the mind behind the scheme is the direct result of No Man’s Land. A brilliant twist. I give Bruce Wayne: Murderer? and Fugitive an A. During our eighth grade year, the play was Heidi. I don’t remember a lot about it, except I made a fool of myself. It was one of those wonderful moments where I thought I knew more than I actually did. Often, that is really how I make a fool of myself. You think I’d learn, but I do believe that you continue to make the same mistake over and over until you actually learn that lesson. I had a minor role in Heidi of the butler. I don’t even remember the character’s name. I do remember getting hit by a broom – once again, garnering laughs. Where I made my mistake was backstage. Because I had been in so many plays, I was sure I knew how to do stage make-up, including mustaches. After all, I had used the stick make-up to get a mustache on in the Tommy Knocker’s play, and I thought my butler should have a mustache. So, when my make-up was completed, I surreptitiously grabbed a brown stick of make-up and apply it liberally to my upper lip. I was fairly satisfied with the results, but when my make-up person looked at me, she gasped and asked ‘What did you do to your face?’ I tried to explain about the mustache, but she looked at me with a certain amount of disgust and told me that it didn’t look anything like a real mustache. When I make a fool out of myself, I generally push forward with my same foolishness just to prove I’m not wrong. I’ve learned better now – usually – but as an eighth grader, I hadn’t. I attempted to go out on stage with that smear of brown make-up on. The director stopped me, wiped it off fast just as I was going on, and that was the end of that. Except, of course, I was mortified. Now, I know that no one else probably even noticed what was going on in my little world, but I felt like the biggest fool on stage. I still mentally cringe a little as I do think about this. Throughout my Junior year of high school, we continued playing Villains and Vigilantes. With Brad, John, and Eric leaving, we added more people to our regular gaming group. We added several people from the grade ahead of me and then several behind me. Mike Daniels created a character with an ice and power blast gun. He was one of our stealth characters as well – he had invisibility. He steadfastly refused to come up with a hero name or costume. Eventually, I drew him in a ‘Han Solo’ type uniform – white shirt, black pants, black vest. I think he actually called himself Han Solo. Dave Featherstone had a rather weird character who had an elastic body and a gun as well. He was first called Mr. Smith and had a real long underwear for his costume and his body (and mouth in particular) were always elongated and stretched out. I think I was trying for something a little more ‘traditional’ and eventually got him to be Omicron. From my brother’s grade came Pat Daniels and his creation Diamano. Pat had some amazing powers that he was able to create. He had the mutant power to turn into diamond. He was able to create a magic spell for each level he was. He had a light attack, and could turn invisible. Phil Sens brought in a hero he called Four Dee. Four Dee essentially had the powers of Marvel’s Fantastic Four – stretching, armor, super strength, invisibility, force field, and flame generation. The other two who joined us during our Junior year I am still scratching my head over. Kenneth Ambrosius and Nick Dysktra are my two oldest friends. I still can’t figure out why they weren’t playing with us from the very beginning. They had done a little roleplaying in 6th and 7th grade with the rest of my little Gang, but for some reason they didn’t join us for the other DnD games. Once they started playing, however, they were with us for the rest of high school and then into college. Kenneth created Storm Driver. He had storm control as well as a very powerful – and fast – hovercraft with a powerful force field. He was also able to teleport and had a laser pistol. Nick’s character was Rattler. He rolled reptilian powers, which allowed him super strength, super endurance, but was cold blooded and had limited agility (i.e. he was slow). He could fly, and had a sonic attack (through his tail). His most powerful ability, though, was to absorb the abilities and strengths of his enemies. So, if Nick was able to land his absorption attack, he could go from someone who was moderately powerful to someone who was a Omega Level Threat. He loved absorbing speedsters so he could go more than once a turn. I was heavily influenced by the Marvel comic books the Uncanny X-Men and the New Mutants (these were the only two Mutant books at the time. Ah, the good old days…) One of the most interesting places that was introduced in the X-Men was a place called Limbo. It is place where time doesn’t really matter. I took that idea and went hog wild with it. I created my own little limbo, calling it Baalthasar’s Dimension, and created a series of charts for each room and hallway in the dimension. When a character went into a new room, they would have to role dice to see what was happening in that room. 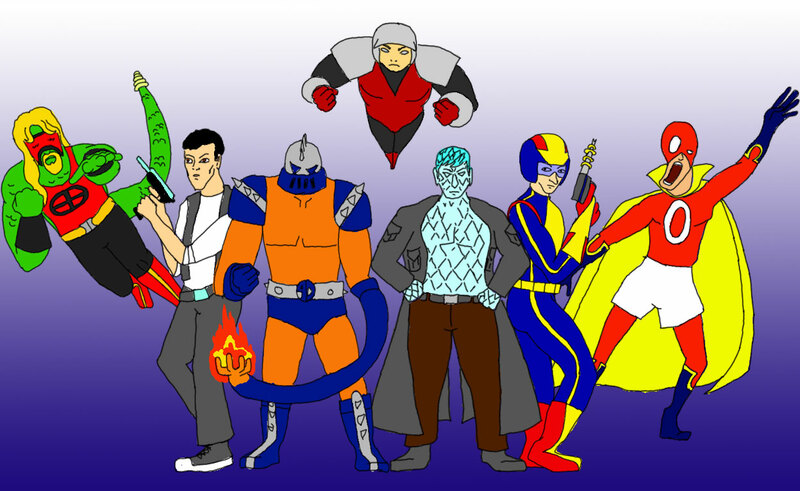 I also tossed in all my favorite superheroes and villains from the various mainstream comic worlds (DC and Marvel) and other worlds (including Star Trek and the old DnD games) with the possibilities of facing/fighting these heroes and villains. Eventually in this world, I believe my character Mithril got pummeled by Superman rather severely. Also lying around the hallways and rooms were the remains of various heroes and villains – a mithril skeleton, Shogun Warrior’s head in jar of water, the crumpled remains of a Stormcraft, the broken pieces of a big iron golem, the shattered diamond remains of Diamano, Thor’s hammer, that sort of thing. Speed Demon was mutated into an 18 foot tall, insane super fast, super strong giant who had a crossbow (ballista, really) with diamond tipped bolts. Guess where the diamonds came from. Over the years, our adventures returned and returned to that world, and it got more and more complicated. I believe one of my college players were entering a room, rolled, and saw my character from six years earlier walking out of the room through a different door. I had fun with it. I may have to revisit it, now with all the character changes in the Vigilantes’ world, the DC world, and the Marvel world. Oh, what craziness could occur now!